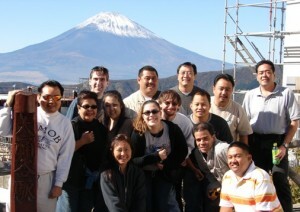 In 2006 our friend Dean was nice enough to take a group of us on a personally guided tour of Japan. We stayed mostly in Tokyo and also did an overnight trip to Hakone as well. Fourteen of us made the journey, and it was one of those special trips of a lifetime. We saw so many interesting sights and did so many fun things while in Japan that in hindsight I’m not sure how we fit everything in. During this trip we fell in love with the culture of Japan, especially the food and drink! The fellowship and friendship during this trip was great! The food was unbelievable and the sake was simply incredible! (Even the rice tastes better in Japan!) Nadine and I had both drank sake before, but the stuff we had in Japan was miles above anything we had tried before. They served good sake everywhere we went, even the little hole-in-the-walls had excellent sake! It was almost like you couldn’t find a bad sake in Japan, and it was always reasonably priced. While it would have been nice to simply “take the plunge” and open a sake store, we did do our due diligence first to make sure the business idea was viable. While we found that sake consumption has been declining in Japan over the past years, it’s been steadily increasing outside of Japan, especially in the United States. 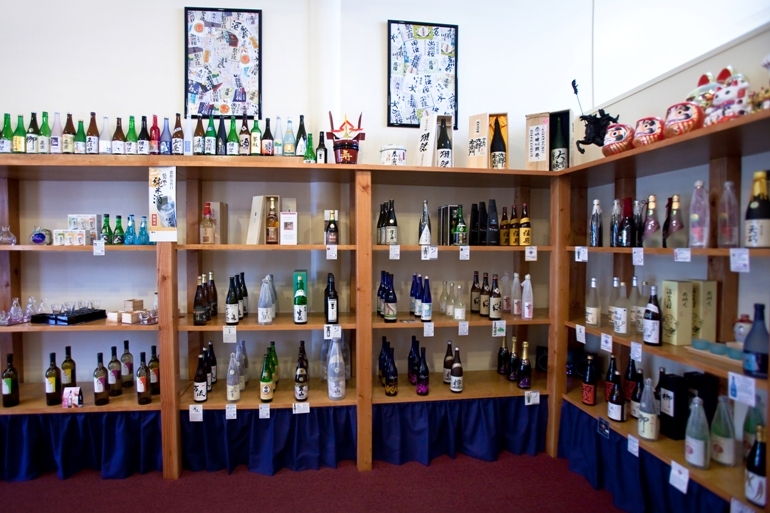 Most of the specialty wine stores in Hawaii that had become successful during the last 5 to 10 years were all beginning to stock a small, albeit premium selection of sake along with their wines. It took almost a year to find an appropriate spot to open the shop. We had always wanted a central location on a major street. The space had to be big enough to fit all of the sake we planned to sell, but also not so big that the rent each month would break the bank. Like many small businesses, we financed this venture on our own. All of the renovation was done by us, which translates to my Father (Thanks Dad!). The shop was originally a frozen yogurt place with walls that were covered in blue and green stripes. So we opened for business in January 2010 and things have gone great so far. 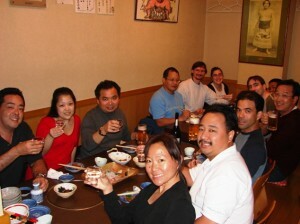 In this short time we’ve learned a lot more about sake and continue to add to our knowledge every day. I continue to work my full time job while Nadine runs the shop. With the help and support of family and friends, we have been able to survive so far with sales improving everyday. 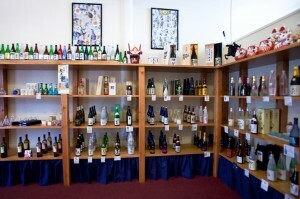 If you’re into sake or would like to learn more about it, please stop by the shop to visit.